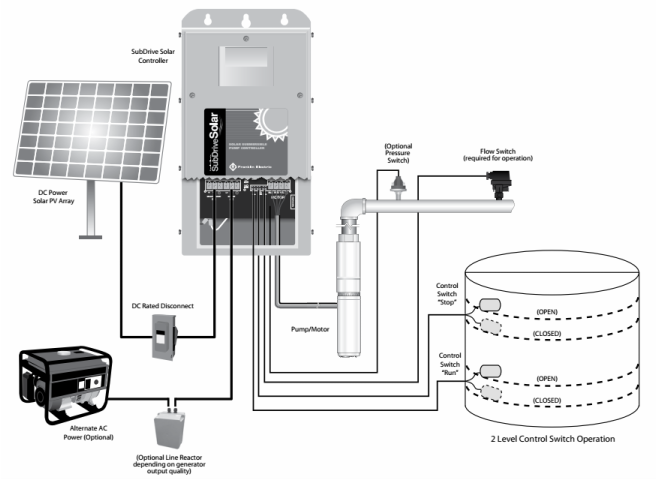 The Franklin Electric SubDrive Solar uses DC power from the solar panels direct into the SubDrive Solar Controller. The Controller changes the DC power to either 100 V AC 3-phase or 200 V AC 3-phase to power, dependent on pump model and delivers it to the submersible pump drive motor. The controller also takes care of functions including matching the pump speed to available solar power and pump protection functions. In most cases the installation of additional solar panels will overcome the need to install a tracking system where the solar panels track the movement of the sun. A generator or mains power may be added to the system to maintain delivery when solar power is not available. Waterborepump Warehouse and Franklin Electric- Leaders in solar powered pumps! Franklin Electric SubDrive Solar QuickPAK selection. 25SDSP-0.55KW SubDrive Solar 0.55 kW. 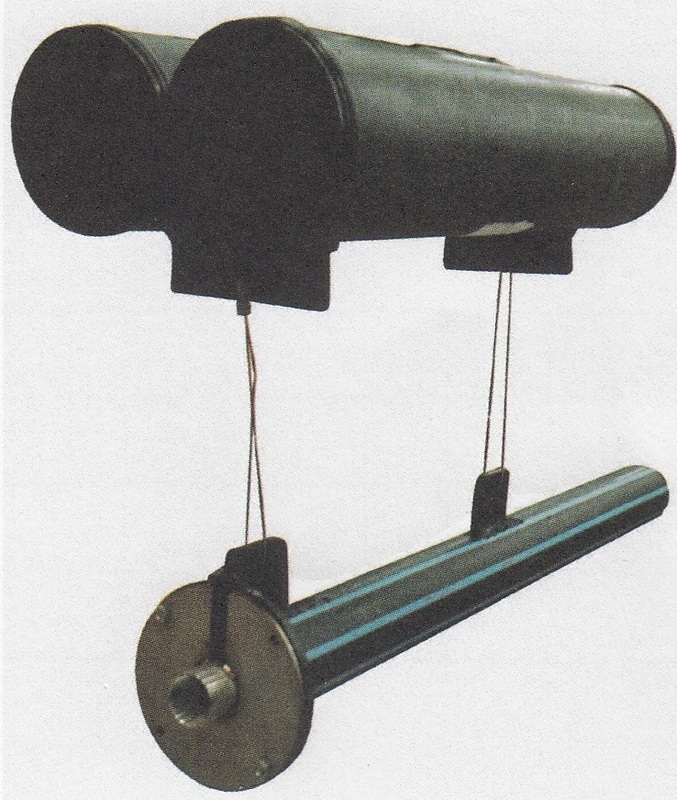 25 lpm Pump End, 0.55 kW Motor. 20 Litres per minute at a total head of 60 metres. 4 Panel Pole Mounted Solar Array - 800 Watts. Complete with 40 metres of Crusader Flexibore 100 32mm pump column and 50 metres of submersible pump cable ready to install. complete with pole mount panel systems. 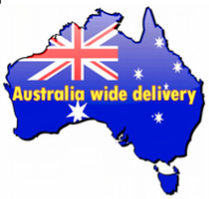 ​or send an email to info@waterborepump.com.au for details. 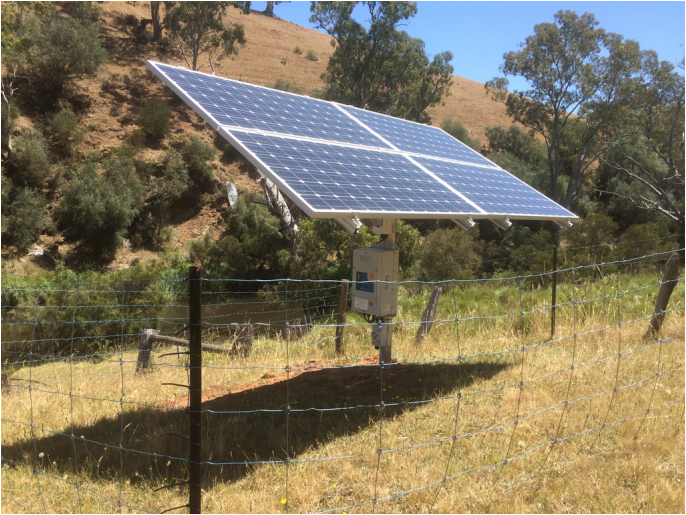 Franklin Electric 4 Panel Pole Mount Solar Solar Array, driving a 0.55 kW Submersible Pump. Roof Mount, Ground Mount, Pole Mount available. ​with aluminium rails and clamps. 4 200W Solar Panels: Wmpp 200W, Vmpp 36V, Voc 45V. 6 200W Solar Panels: Wmpp 200W, Vmpp 36V, Voc 45V. Parallel MC4 Connectors (1 set required for all Kits 12 Panels and above). Poly fabricated Pontoon with twin floats coupled by stainless steel wire to a 5" pump shroud. " BSPF stainless steel outlet flange with cable slot suitable for all 4" submersible pumps including SubDRIVE 758, 150 & 300 pumps. Suitable for dams, rivers, ponds, any open body of water. Caution: Systems over 90v must be installed by a suitably qualified electrician.